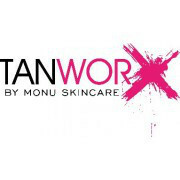 By using our TANWORX products you can enhance your skin tone without exposing your skin to the harmful UV rays of the sun or tanning beds. How? By protecting your skin with our natural looking sunless tan. We customize our solutions to your skin tone, to leave you with an opulent golden glow. It is estimated that our skin is made up of around 70 trillion skin cells making it the largest organ of the body. It gives us our shape by supporting all of our internal organs, bones and blood and provides a waterproof covering. As well as this it also helps to regulate body temperature, it gathers sensory information from the environment, stores water, fat and Vitamin D.
The skin is made up of two main layers: the epidermis and the dermis. It’s the epidermis that self tanning occurs. The epidermis consists of 5 layers the Basle layer being the deepest and is effected during sun tanning. The outermost layer (stratum corneum)- it is this layer that is affected by most sunless-tanning products. The thickness of the skin can vary, the thinnest skin is around the eyes and eyelids, and is approximately 0.5mm, the thickest skin is found on the soles of the feet and can be up to 4mm in thickness. The epidermis is avascular, nourished by diffusion from the dermis below it. By using our LDN:SKINS products you can enhance your skin tone without exposing your skin to the harmful UV rays of the sun or tanning beds.